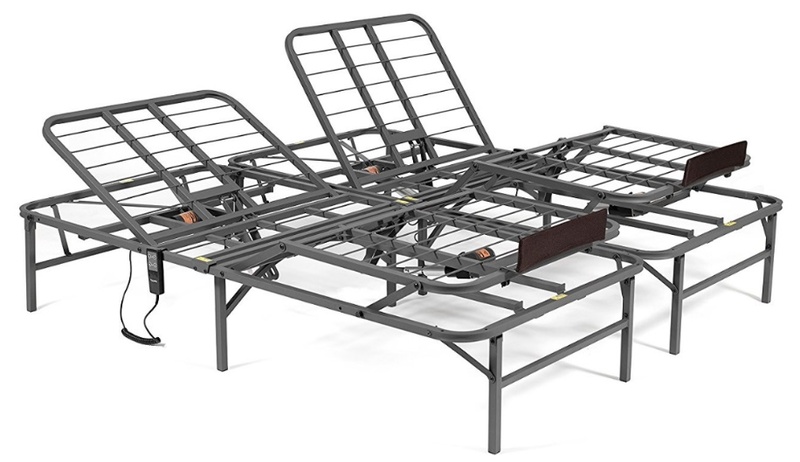 Pragma Pragmatic adjustable bed falls in low-mid range category of adjustable beds. 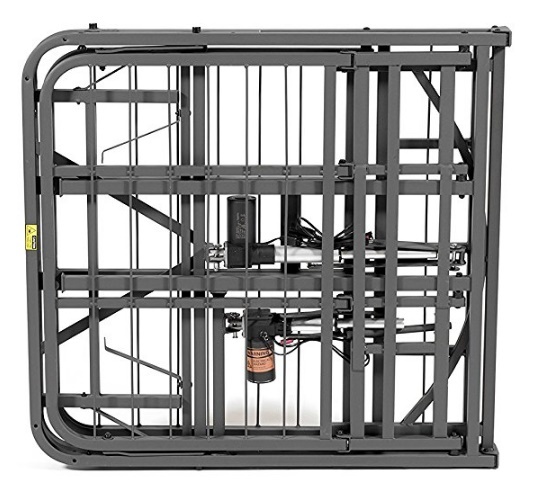 Unique Selling Point (USP): Low cost and high durability (of steel frame). If you are looking for a foldable adjustable bed that offers both unmatched durability and all essential features at a relatively low price then Pragma adjustable bed shall be an excellent choice. Although Pragma bed does not offer advanced features like wall hugging, dual massage and USB ports, but it satisfactorily offers full range of positions with wired remote control, all at an inexpensive price making it a leading seller in its category. The head tilt offered by Pragma bed is in fact extraordinary and such wide range of adjustment is not to be really found in any other adjustable bed in the market. The head section can be fine tuned up to 80 degrees while the foot section can be tuned up to 30 degrees. With wide-ranging 80 degrees adjustment, you can conveniently adjust to any desired angle for watching TV, working on laptop, lounging or zero gravity position. 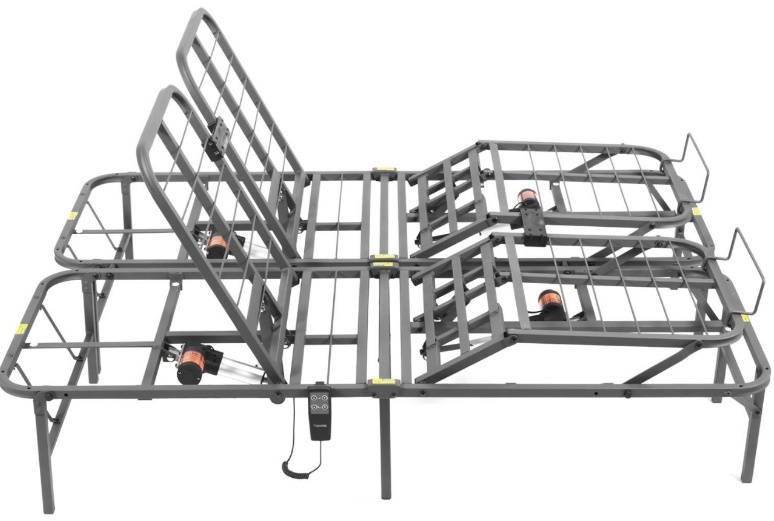 These tilts can be controlled via the wired remote control. On the downside, only one remote is offered for both the beds in split king version. However, you can separately opt for an additional remote for the second bed as well directly from the manufacturer. The DC motors are extremely quiet with absolutely no squeaking noise while lifting the head and foot sections. Lift pistons comfortably support weights up to 300 lbs. Even high end adjustable beds offer up to a maximum of 65 degrees head tilt but Pragma bed offering 80 degrees head tilt is possible only because of its sturdy middle legs. Yes, sitting in an upright position means the centre of the bed takes entire upper body weight which cannot be really sustained with just four legs. With extra two middle legs, the bed is enough sturdy to take further weights without putting breaking or bending pressure on the middle section of the frame. Standing at a height of 14 inches above the ground, Pragma bed is neither too low nor too high. It’s apt for both tall as well as short people. The 14 inches room is sufficient if you wish to use the beneath space as storage. However, as the remote control offered along with the bed is wired one that connects from the motor, it is best advised to tape the wire along the middle frame so as to ensure that it doesn’t tangle with your belongings below the bed. 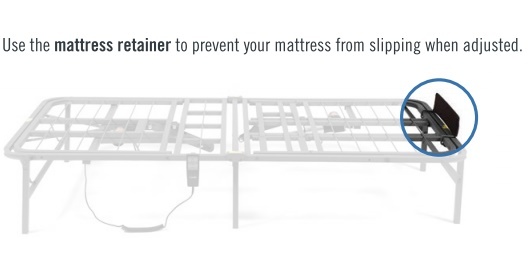 Pragma bed comes with a single mattress retention bar at the foot level as depicted in the image here. It is included as part of the package and all you have got to do is just screw it together. Brentwood Classic Bamboo Gel 10 Plush Feel 10" mattress should perfectly fit the frame. PS: You might even find that the mattress cost might be equal or more than that of this adjustable bed. This comparison in itself is perhaps sufficient to convey how Pragma bed is the best cheapest adjustable frame in the market. An assembly guide is included along with the package for quick and easy installation. The best part is that most part of the bed including the head and foot section are a single and foldable unit. The bed comes almost assembled, all you have got to do is open the leg units, fix the retention bar, attach lift pistons and place the motors in their respective locations. Tape the remote wire along the middle frame and your bed is absolutely ready for use. As per several user reviews, the entire assembling task will not take more than an hour or so. Moreover, you have the ready for reference assembly guide to help you. All you might need are an adjustable crescent like wrench, 5-metric allen wrench and a short screw driver for quick assembly. As the entire bed i.e., legs, head and foot sections, are foldable, it is quite easy for transportation and storage as well. Although Pragma bed does not include advanced features like dual massage or under the bed lighting system but it surely and perfectly offers all basic and mid-range features. If you don’t really need an expensive high-end adjustable bed with advance features like dual massage and memory programmable positions and all that you are interested in is an adjustable bed that perfectly offers all mandatory features and comes at a low price then Pragma bed should be your preferred choice.